A bowl of queso and chips fits every occasion: as an appetizer, during a football game, at a party, even at the movie theater. Texans are passionate about this cheesy dip. So much so that there is even a queso eating contest in Dallas every May 5. I asked my Dallas friends where they get their favorite bowl of queso and they all gave me different answers. There are as many favorite places as there are Dallasites; however, a few stood out. Beware: some restaurants serve a yellow goop made with industrially processed cheese and canned tomatoes and green chiles. However, the places on this list use good quality ingredients and make their queso from scratch. 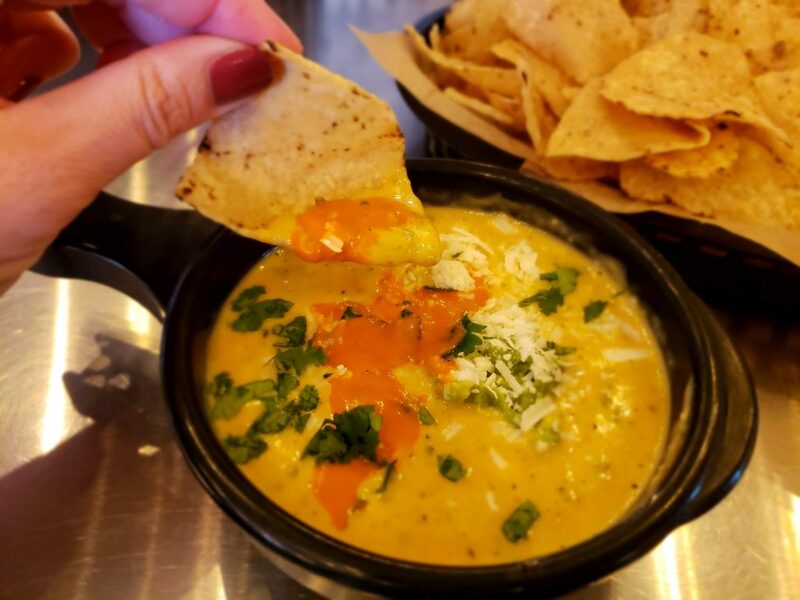 For a bowl of fiery queso, go to Torchy’s. This isn’t your garden variety taqueria, but more of an upscale counter service taco restaurant with a vibrant bar scene and several locations in Texas, Oklahoma and Colorado. If you’re in the mood for a creamy, fresh and spicy appetizer, order the green chile queso and chips. It comes with a scoop of guacamole, green chiles, and a sprinkling of fresh cilantro and grated cotija cheese. The diablo sauce honors its name: this habanero sauce is fiery hot! Torchy’s hillbilly queso elevates their green chile queso to a new level of hotness with the addition of crumbled Texas chorizo. Meso Maya serves authentic Mexican dishes from fabled places like Yucatán or Chiapas. 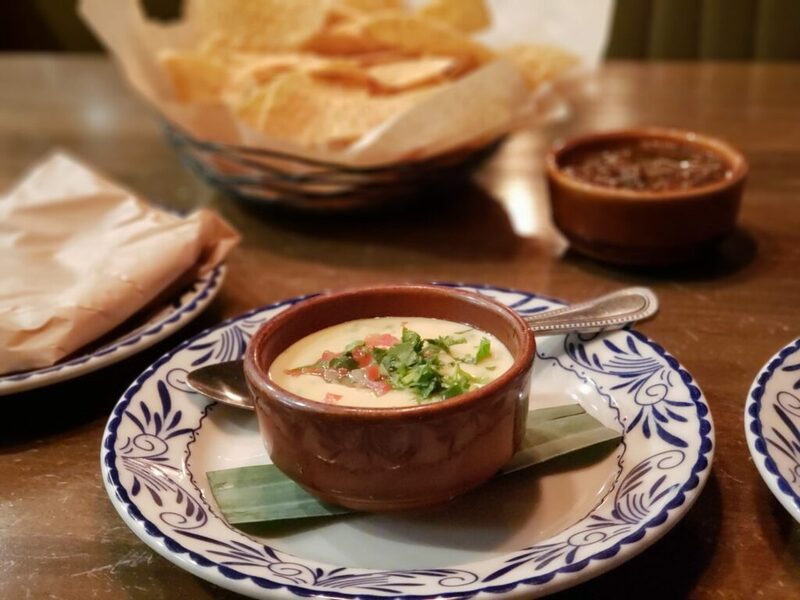 Fortunately for us, they also serve two types of queso: queso poblano and queso fundido (melted cheese, roasted poblano chile and grilled onions served on warm tortillas and a choice of vegetables or pork chorizo). The queso poblano comes with house-made, slightly salty chips. It’s made with chihuahua and pepper jack cheeses and queso blanco, roasted poblano, nopalesand fresh corn sprinkled with cilantro and salsa for freshness. It’s not spicy or hot at all. The creamy cheese flavor comes out immediately, and it’s complemented well by the poblanos. I ordered the brisket add-on (pulled brisket cooked in a tomato sauce). It added a nice meaty flavor. Those wanting to venture into new territories or looking for a non-dairy alternative should consider H.G Sply Co’s vegan queso. The main ingredient is blended nuts, which is clearly stated on the menu. It has earthy flavors from spices like cumin and a dollop of guacamole lends it some creaminess. This vegan queso is topped with chopped green onion, salsa and cilantro and comes with plenty of tortilla chips. Beware, it’s surprisingly hot. Mesero is true to the slogan: “Mexican Spirit. American Life,” as their food intersects both cultures. Take the quesos: their queso Tejano has cheddar cheese “a la mexicana,”and green and red bell peppers. The queso mesero is their Mexican version of the spinach and artichoke dip. The mild flavors of chihuahua cheese, spinach, poblano pepper and artichoke meld perfectly to create a satisfyingly creamy dip. The three table salsas, mesero, pachi-pachi, and de mesacan add heat if desired. Chuy’s, a Tex-Mex restaurant chain that started in Austin, Texas, serves two kinds of queso. The chile con queso has green chile and ranchero sauce. Their queso compuesto adds layers of flavor to their chile con queso with guacamole, pico de gallo and seasoned ground sirloin, or picadillo. A tangy, refreshing Margarita pairs well with queso, as it balances out its creaminess and puts out the chile fire. 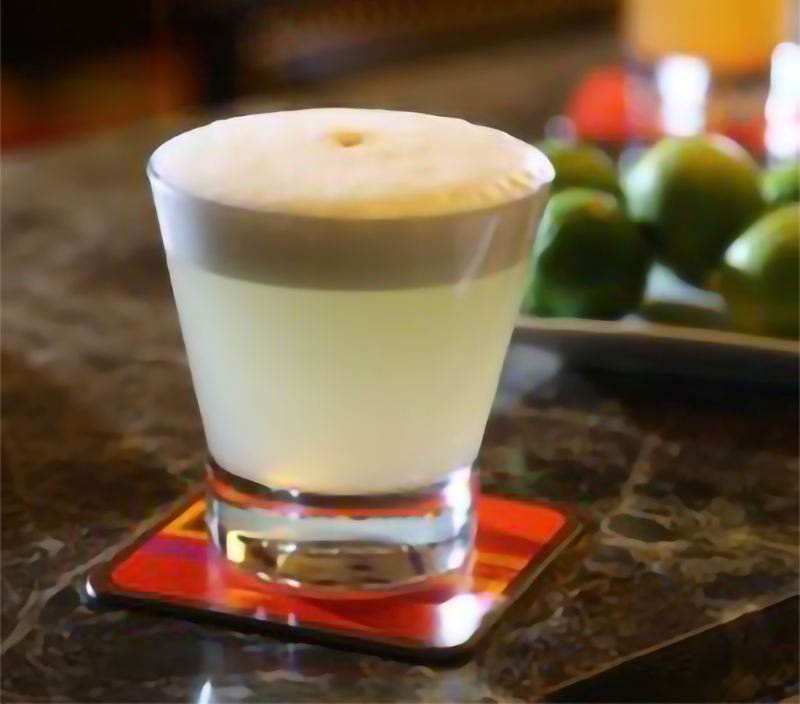 There are different stories about the origins of this tequila, lime juice, and Cointreau (or Triple Sec) cocktail, but one thing is undebated: the frozen Margarita machine was invented in Dallas in 1971. Margaritas can be ordered on the rocks or frozen, and there are many varieties of this bar staple. Lime, mango, berry, or jalapeño are just some of the many flavors offered in Dallas bars. The salt on the rim adds an extra dimension of flavor. The Paloma cocktail is an absolute favorite in Mexico, and it is slowly making inroads into Texas. This highly refreshing cocktail is made with tequila and grapefruit-flavored soda, or alternatively grapefruit and lime juice with club soda. It’s served either frozen or on the rocks in a highball glass with a slice of lime. Like the Margarita, it pairs well with queso as it refreshes the palate. Another drink that goes down well with queso is the michelada. 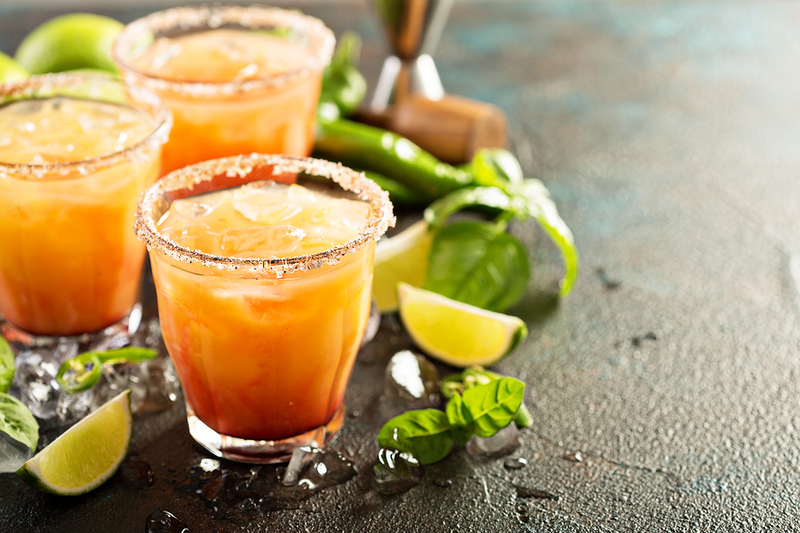 This bright-tasting drink is made with beer, lime juice, drops of Tabasco and Worcestershire sauces, and tomato juice and served in a chile salt-rimmed glass. ¡Salud! As for wines, a medium-sweet Riesling or a tangy Sauvignon Blanc pair well with spicy queso. 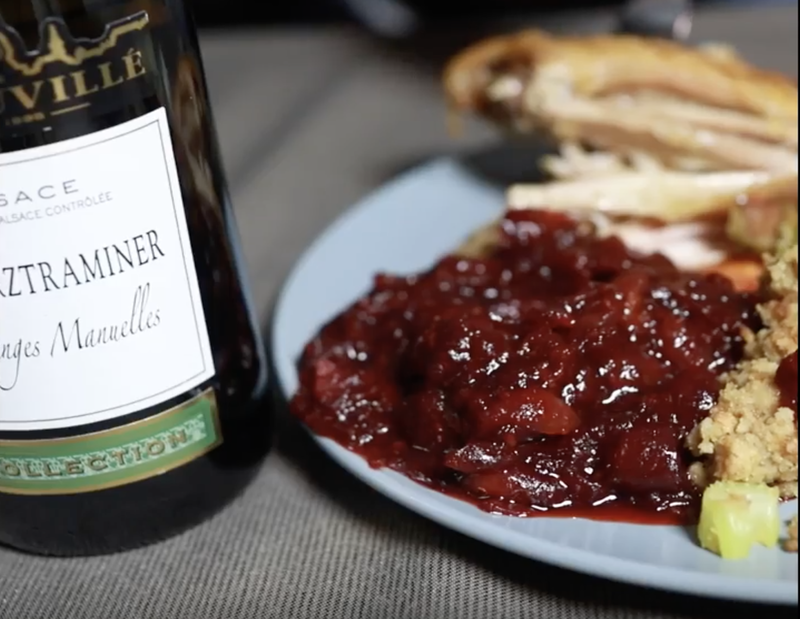 You can’t go wrong with sparkling wine, either. 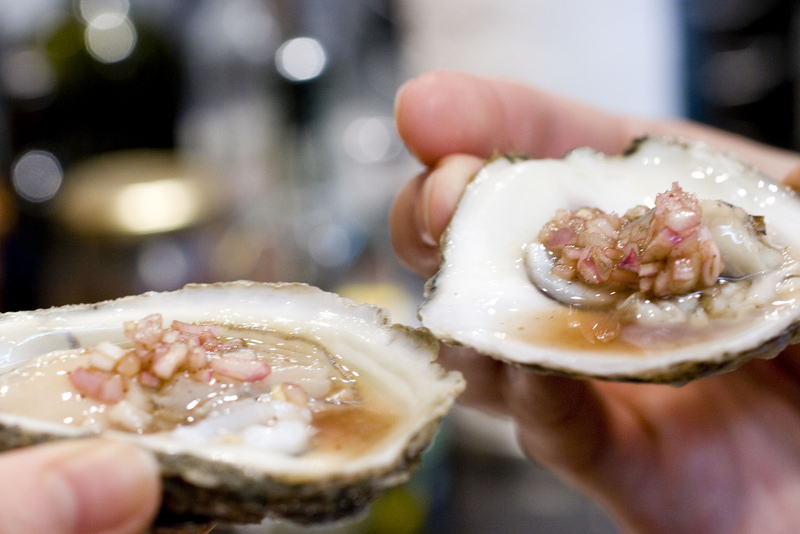 The bubbles help balance the rich, creamy dish. Try to avoid reds that are oaky, high in tannins and in alcohol, as they tend to heighten the sensation of heat in spicy food. Ana Astri-O’Reilly is a fully bilingual travel blogger and writer originally from Argentina. She now lives in Dallas, USA, with her husband. 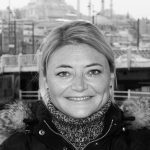 Besides writing on her travel blogs, Ana Travels and Apuntes Ideas Imagenes, Ana has published travel and food articles in a variety of outlets. You can follow her on Twitter, Facebook, Instagram and Pinterest.